We understand that on the surface, the title of this blog should seem like a no-brainer. Experts have experience, and it’s their expertise that makes your home inspections run smoother and find all the issues. However, it’s easy to forget this as you’re comparing prices or other perks and instead go with an eager new home inspector or a national chain with unknown staff. Homes are a massive investment, and it’s vital that any and all problems are found to avoid complications down the line. Here are a few things an experienced home inspector can do like no other. 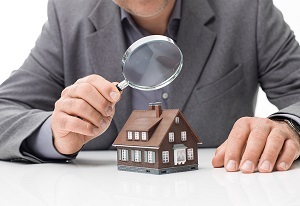 Identifying problems in a home is the core job of a home inspector. The more homes and problems they have seen, the quicker and more thoroughly they can identify issues with a home. This includes the unusual, the exceptions, and the edge cases, be it bizarre wiring setups, impractical plumbing, or troubleshooting seemingly inconsequential issues from the current homeowners or construction companies to uncover critical issues. A home inspector with experience will catch and identify issues a more junior inspector simply would miss. For many homeowners and homeowners-to-be, their inspector is naturally the first person they turn to for help when the home inspection undercovers issues with the home. More experienced home inspectors can help troubleshoot issues with the home, giving advice on the procedures and costs associated with repairs, and how important they are to the safety of the home. While some home inspectors are affiliated with real estate agents or contractors for repairs, we recommend finding inspectors that are independent to avoid biased analysis and referrals. An experienced inspector has a keen eye when it comes to finding both dangers (immediate threat to the health and safety of the occupants, like mold) and issues that are either not up to code or could become a danger in the future. This extends beyond their licensing: a good home inspector will not only be able to identify things that “are not up to code” but will also be able to provide you the reasoning behind it and what you have to do to get your home up to specs. Want to learn more about hiring a home inspector? Check out our two great blogs: How to Hire a Home Inspector and Top 5 Things to Look for in a Great Home Inspector for more details. Ready to hire an experienced home inspector? Contact the Homeinex Corporation. We have been providing prompt and in-depth inspections in Massachusetts, Connecticut, Maine, Rhode Island, and New Hampshire for over twenty-five years. We’ll help answer any questions you have and schedule a home inspection for you when you are ready.